While the Internet of Things can be end game for some market solutions, there still are steps that can be taken while awaiting a longer-term, fully connected world. When Natalie Fenderson, a realtor with Fireside Real Estate in Tampa, Florida, wants to show a home to a potential buyer, she frequently pulls out her smartphone as she approaches the home, taps a few keys and a Supra lockbox opens, giving her access to the key to the house. The history of which realtors visited and when is available online to the listing agent. Another property management approach was introduced at CES by Lubn, which launched a smart-key lockbox with a visual authentication feature. The lockbox solution, winner of a CES 2019 Innovation Award (I was one of the judges for the 2019 and 2018 CES Innovation Awards), has an embedded camera that recognizes QR codes issued by the property manager to an intended visitor. The lockbox photographs the visitor as he or she check ins and sends the photo to the manager’s phone for approval. Digital lockboxes such as these are yet another example of the Interim Internet of Things, or IIOT, as I wrote about here recently (The Interim Internet Of Things). 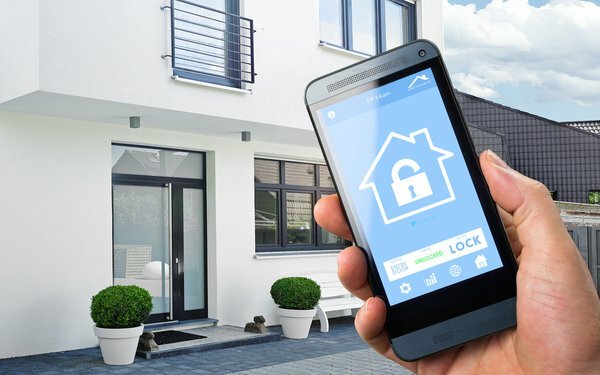 When they finally reach a mass market, smart home technologies such as video doorbells and connected locks could ultimately provide authorized access to realtors and others to a person’s home, with all external and internal activities tracked. That would be considered an IoT end game solution. Meanwhile, the Interim Internet of Things provides a practical approach to tapping the future while leveraging present-day technologies that are widely available. 1 comment about "Home Access Via The Interim Internet Of Things". Norman Smit from Integrated Media Strategies, January 24, 2019 at 9:30 a.m.
As always, the questions with IOT and IIOT tech are: who owns the data, what are they doing with it, how secure is the app and the network connection, is all data encrypted, and who is the data being sold to? Too frequently, consumers and users are being taken advantage of and there are regular pieces on how apps are sharing information from phones that either they shouldn't or aren't disclosing that they are, including potentially, client information. I don't know how secure this app is, so I can't comment directly on it, but clients using realtors using apps such as these are potentially exposing their personal information via their realtor's apps to the wild in the event of a breach.